Nike’s “Just Do It” slogan was celebrated in 2018 with a massive collection that included several beloved silhouettes. 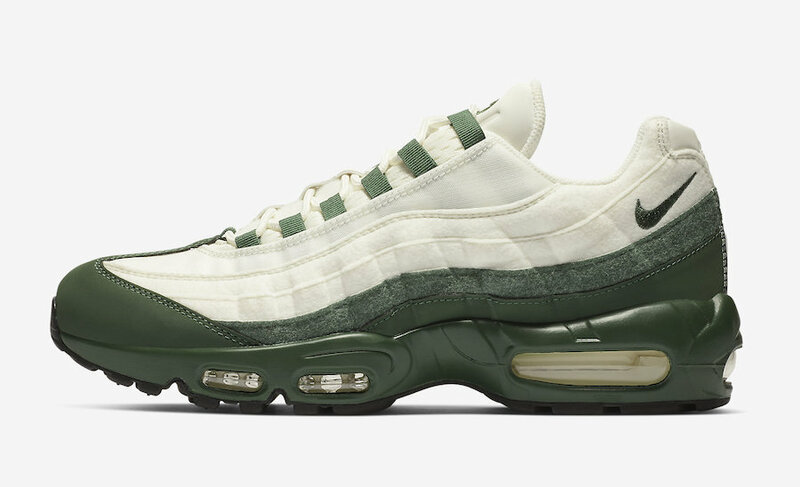 Although this Air Max 95 wasn’t part of the lineup, a minor detail says it could have fit in perfectly – despite the use of color. It features a Sail upper highlighted with Dark Green covering the lower half of the shoe, Swoosh logos, tongues, and lace loops. Tonal Sail branding appears on the heel, while having “Just Do It” branded insoles for a nice nod to the classic slogan. Check out the official photos below, and look for this Air Max 95 to release in the coming days at select retailers and Nike.com. The retail price tag is set at $170 USD.